I have put up more than my share of trim. But I was wondering if there was an easier way (so I will leave mine out to not influence answers) to do the but edges. Basically in the example below what is the best/quickest way to paint or flatten the sawed/cut edges of the exposed trim? Note, I completely understand that you can cut the trim at 45s so there are no exposed cut edges, however this has not been in style for years in my area so not an answer or option. Sand end grain as smooth as you can, then apply two coats of primer before final coat with paint. I do a lot of historic restoration. One of the “key” rules is to not improve the design. That is to say, we recreate what was installed, whether it’s style of trim, type of stairs, or whatever. And perhaps your window trim should not be changed, either. 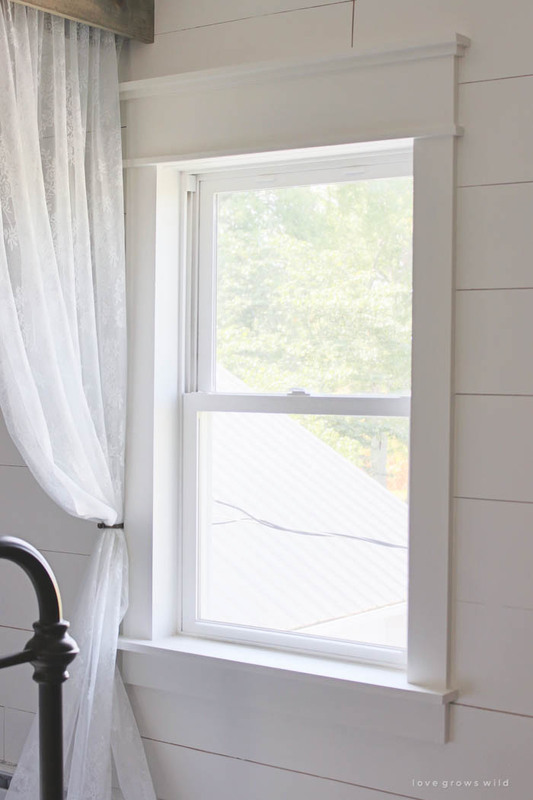 I call the style of your window and trim, a “farmhouse” window. Changing the design within a house would not be appropriate, especially within the same room. However, where a simpler style house is being built or renovated, perhaps a simpler style window trim would be appropriate and acceptable. Another consideration is using “what is expected”. Often we try to make things smaller or simpler and it then they look out of place or too unusual. I’m thinking about perhaps eliminating the stool or head piece. Either would save time and money, but you’d loose that “classic” style (character). One of our biggest problems is trimming a window that shows end-grain AND the trim is stained. When the trim is painted, we can usually fill the end-grain texture to match the surface of the trim. However, when it’s stained, the end-grain tends to absorb more stain and it’s often much darker. One way we’ve tried to correct this is to mitre the ends of the trim “back towards the wall”. This gives the same surface on the end of the trim as on the surface so it will accept stain at the same rate as the rest of the trim. It takes a lot of time, but looks great. Wood Filler on the edges & light sand to make them smooth and then you can paint. Like Bang Bang Chicken.. only rough wood with sauce. Not the answer you're looking for? Browse other questions tagged windows woodworking trim or ask your own question. How do I install plastic window insulation without damaging the trim? How to deal with this mold on the window frame?